It’s time for another Makeup Wars! 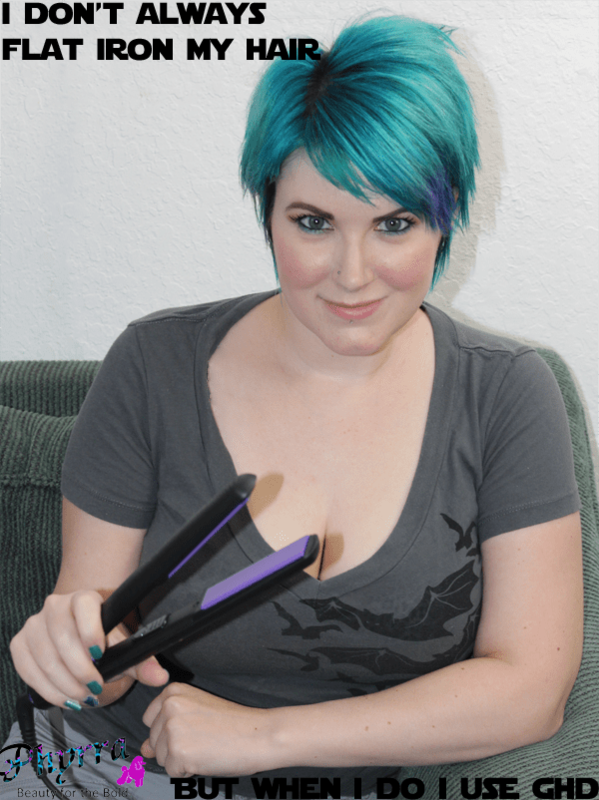 This time we’re warring about our Favorite Hair Tools! Since I’ve got short, straight hair, and I love to color my hair, I don’t have your typical tools. This is an upgrade from my previous hair dryer bonnet. This ties under the chin and and makes it much easier to apply heat. I use this immediately after I put dye in my hair, to help ‘lock in’ the color. It’s much better than holding a blow dryer and trying to evenly apply heat to my entire head. I don’t flat iron my hair often but when I do I reach for my ghd Purple Peacock flat iron. ghd makes a ton of great flat irons. It also comes with an automatic shut off feature, which I consider essential in a flat iron. I use these bowls, comb and tint brushes when dyeing my hair. They help me to evenly distribute color. I consider them essential. This is my perfect brush for blow drying my hair! I just spray my hair with DermOrganic Leave-in Spray Shine Therapy to heat protect my hair and then I use this brush to blow dry. This is something I use any time I’m going to apply heat to my hair, so I’m counting it as a tool! I use this to help give my hair volume some days. I love hair clips with my shorter hair, and my tokidoki clips are my favorite! Octopus Stew makes a wide range of hair clip styles and she custom made mine for me. I consider hair clips to fall under hair tools for having cute hair! 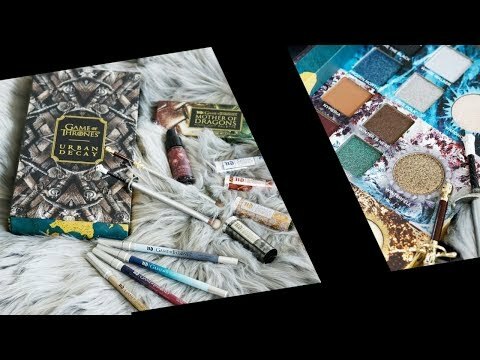 Color Wars – Turquoise & Green, Favorite Purple Nail Polish, Best Summer Manis, Best Summer Eye Looks, Best Cruelty-free Sunscreens, Favorite Waterproof Makeup, Favorite Beauty Masks, Best Cream Eyeshadows, Pampering at Home, Emerald Green, Beauty Blogger Travel, Valentine’s Day Mani, Favorite Products We Repurchase, Beauty Resolutions, Favorite Holiday Look, Holiday Wish List, Holiday Metallics, Favorite Mascaras, Favorite BB Creams, Halloween Mani Tutorial, Fall Look, Favorite Red Lippy, Favorite Fall Nail Colors, Favorite Makeup Brush, Most Expensive Face, Favorite Summertime Lipstick, $20 Makeup Challenge, and Battle of the Taupes. 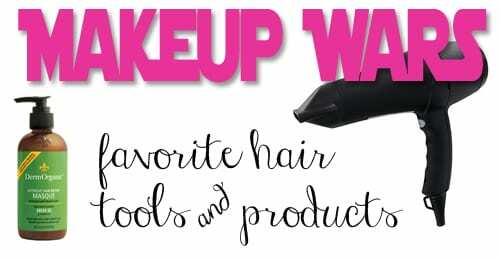 See what the other Makeup Wars Bloggers chose for their favorite Hair Tools! LOL to the “I don’t always flatten my hair….” picture!! I m looking for a hair tool, actually a razor thinner. I don’t t know the proper name, but it s long (approximately 4-5 inches long and a razor comb on the top side). Does anyone know the name or where I can purchase one. My mother had one, about twenty years ago. I want a dryer like that! an I LOVE my Dermorganic! the ghd is such a great flat iron! Marcia beauty info zone Same here! KellyLoganGould Thank you! It’s my favorite! blushingnoir LOL! No that’s Olivia garden 🙂 they make really nice brushes. Lone your hair this color!!! I need a flat iron that turns off automatically since I forget so often. Luckily I don’t use mine that often but I’m bad at remembering. I read your brush as Olive Garden. But now that I know that you and one of the other bloggers love Olivia Garden I’ll keep my eye open for their brushes. PrimeBeauty50 And I forgot some, like a wide tooth comb for in the shower. PolishInsomniac Thank you! Pink Sith inspired that! LOVE this list, but I really love your meme! That’s a whole lotta hair tools! I LOVE your hair with volume! cinseven13 Such a great find! love the Laila Ali soft bonnet dryer, so easy & convenient to use! I knew you would have hair color stuff! I always do love your hair clips too!